LEGO DUPLO Santa’s Winter Holiday 45-Piece Set Just $23.99! Down From $30! You are here: Home / Great Deals / Amazon Deals / LEGO DUPLO Santa’s Winter Holiday 45-Piece Set Just $23.99! Down From $30! This is just perfect for a Christmas present! Head over to Amazon where you can score this newly released LEGO DUPLO Santa’s Winter Holiday 45-Piece Set for just $23.99 down from $29.99 PLUS FREE shipping with Amazon Prime or for orders over $25! 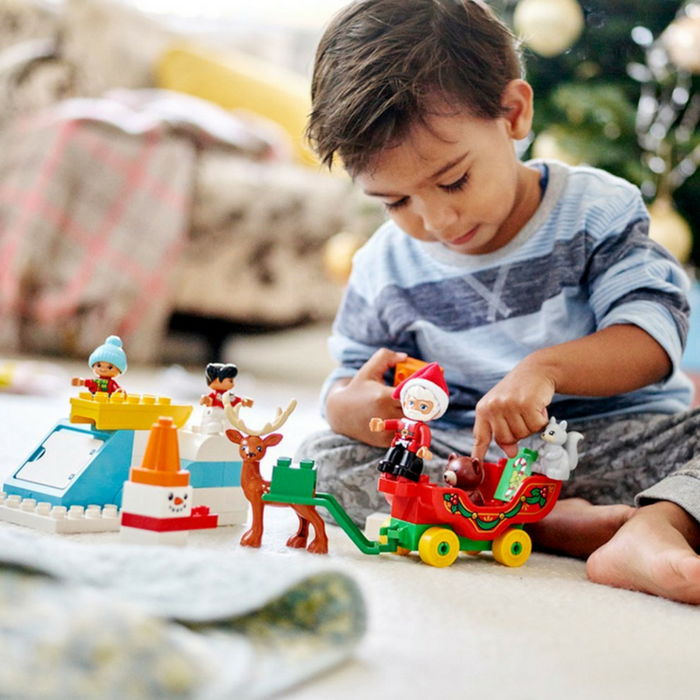 Bring the holidays home to your little builder with the LEGO DUPLO Santa’s Winter Holiday set. Kids will enjoy putting the simple models together, then pretending they are flying Santa through the sky on his sleigh. A sled and slope add to the excitement and put your toddler in the middle of the action! Introduce your kids to the exciting world of LEGO that you loved when you were young! Great as a holiday gift or to help them get into the spirit before the big day arrives. Includes 3 LEGO DUPLO figures: Santa and 2 children, plus 2 animal figures: a reindeer and a squirrel.